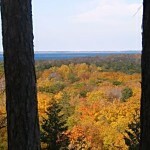 It is not too early to plan your fall color excursion. 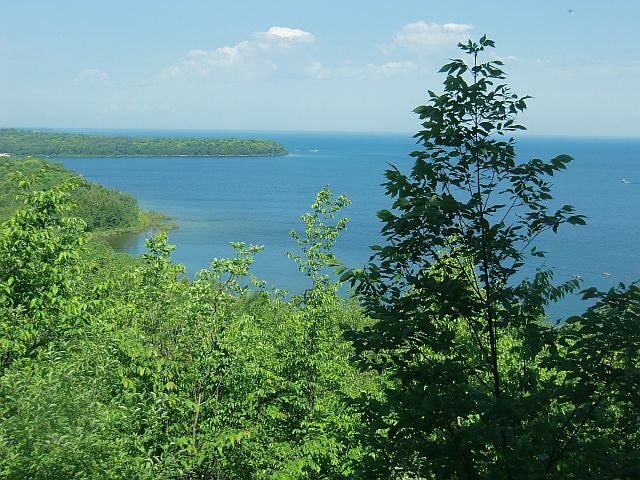 Indeed, it might even be too late if you expected to snag a weekend B&B or hotel room in such popular “leaf peeper” destinations as Door County in Wisconsin, Brown County in Indiana and Bennington and Addison Counties in Vermont. 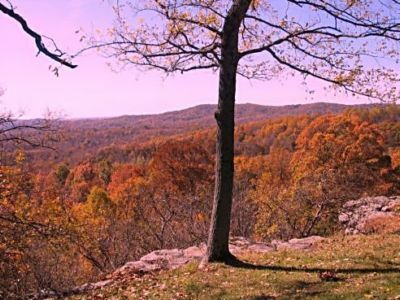 Those are great fall destinations, but they are not the only places to celebrate nature’s coat of many colors. Consider your timeline and be flexible. Expect color seekers to crowd the roads on weekends so try to schedule your trip for during the week to see more than the back bumper of the car ahead. 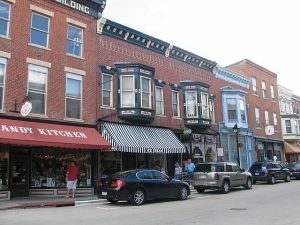 Early in the week is also best to find a choice of accommodations and restaurants. Based on past years, towns typically hold their fall fests during a top color weekend but nature’s show usually starts a couple of weeks before and continues a couple of weeks after the festival so you might have better reservation luck just before or after the hoopla. 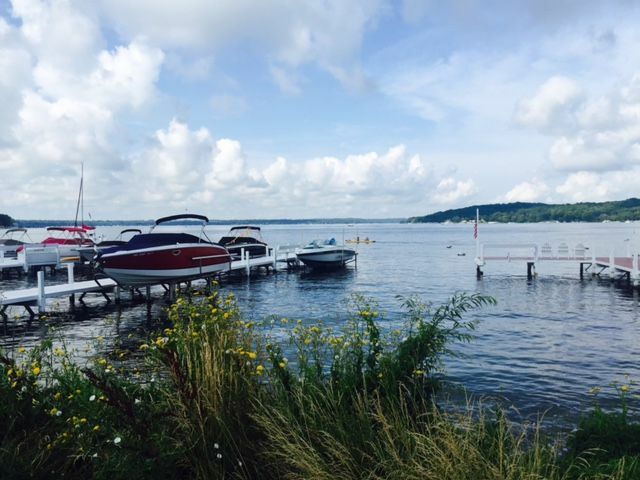 Try a new destination that will best fit your schedule. To help you, most states have a fall color chart that is updated weekly. Even if the chart does not yet show color the state site usually has suggested color routes and a guide to what shrubs and trees change and when. The second week of October tends to be prime time almost all across the country from Connecticut to Colorado so to avoid the color jams look north for an early trip or south for a later one. 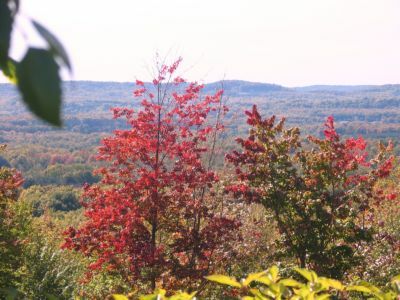 For an early fall color trip check the color charts put out by cold-weather states such as Minnesota, Wisconsin and northern Michigan. Spectacular mid-September color comes to the North Shore of Lake Superior in Minnesota, the west end of Michigan’s Upper Peninsula and the woods north of Michigan’s Traverse City. 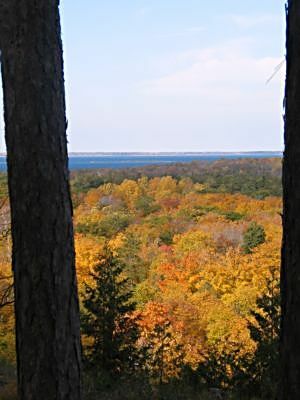 Trees on the Leelanau and Mission Peninsulas next to Traverse typically pull out the paint tubes late September to early October due to the still warm waters of Lake Michigan and Traverse Bay. The same is true of Door County, a peninsula that sticks out like a thumb into Green Bay and Lake Michigan. Don’t worry that you missed the show if you can’t get away until the end of October. Look at charts for the southern tips of a state. 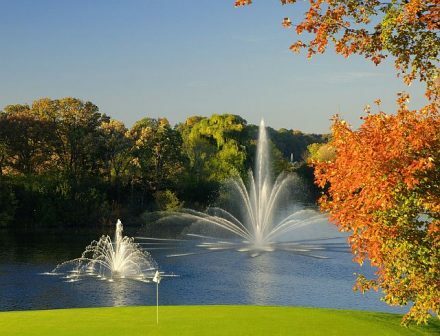 Leaves tend to change later in the southern parts of Illinois, Indiana, Ohio and Missouri where scenic cliff, rolling hills and meandering waterways add another component to the getaway. 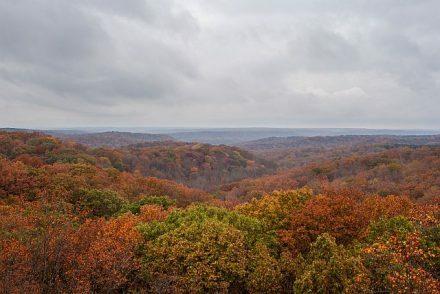 Drive from Brown County, Indiana and the Hocking Hills in Ohio south to the Ohio River for late fall color. 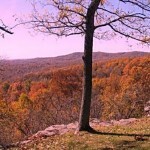 Or drive through the national and state forests of Tennessee from east to west from October into November. Do you really just want to see red? Obvious as it may seem, the hot color spots are related to tree types. Vermont is popular because it is maple country – yeah, maple syrup. However, Wisconsin, Michigan, Indiana and Illinois also have an abundance of maple trees. 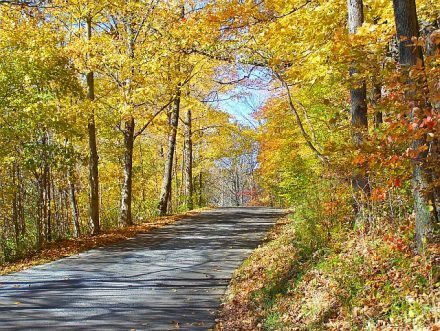 But except for evergreens, you can find forest paths among shades of gold, copper and oranges to make your fall trip a photo odyssey. Here is a sampling of fall color charts and sites. 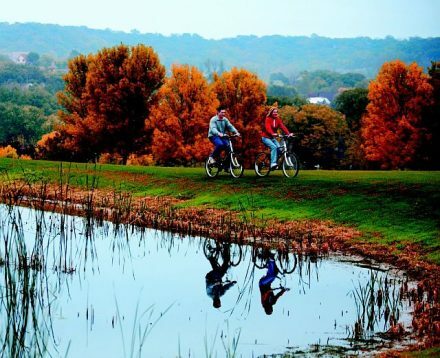 Please add your favorite fall foliage destination in comments. 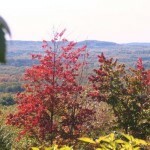 Check Federal properties of the US Forest Service or call the US fall color hotline at 1-800-354-4595. Also, look for the state and regional suggested fall drives for places off the beaten track such as the Traverse City area, Illinois, Indiana, Michigan, Wisconsin and Vermont.